Background Fever of unknown origin (FUO) still remains a diagnostic challenge, while diagnosis may remain obscure for several weeks or months. The role of tissue biopsy is crucial in the diagnostic approach. We report a series of 130 consecutive patients with FUO who had undergone a bone marrow biopsy (BMB). Methods Among 280 consecutive nonimmunocompromised patients hospitalized between 1995 and 2005 for a febrile illness of uncertain cause, lasting at least 3 weeks, with no diagnosis after an appropriate minimal diagnostic workup, 130 underwent BMB. Results Overall, a specific diagnosis was achieved by BMB and histological examination in 31 cases (diagnostic yield, 23.7%). Three types of diseases were found: hematological malignant diseases in 25 cases, including 19 patients with malignant lymphoma, 4 with acute leukemia, 1 with hairy cell leukemia, and 1 with multiple myeloma; infectious diseases in 3 cases; systemic mastocytosis in 2 cases; and disseminated granulomatosis in 1 case. Thrombocytopenia (odds ratio, 4.9; 95% confidence interval, 1.04-9.30) and anemia (odds ratio, 3.24; 95% CI, 1.13-9.34) were the most reliable predictive factors regarding the usefulness of BMB. Bone marrow cultures had very limited value in our cohort. Finally, corticosteroid use did not seem to affect the yield of BMB. Conclusions Bone marrow biopsy is a useful technique for the diagnosis of prolonged fever in immunocompetent patients. Thrombocytopenia and anemia seem to be correlated with the value of this test. In 1961, Petersdorf and Beeson1 published their classic article on fever of unknown origin (FUO) and established criteria that have effectively delineated this entity: an illness of at least 3 weeks' duration, with fever (temperature >38.3°C on several occasions), and no established diagnosis after 1 week of hospital investigation. The diagnostic workup often involves many noninvasive and invasive procedures that sometimes fail to explain the fever. Indeed, there are more than 200 causes of FUO, many of which can involve the bone marrow.2 A panel of laboratory tests including cultures and serologic examination, imaging studies, aspiration, or biopsies of cutaneous lesions and lymph nodes can provide clues to the diagnosis of fever. Nevertheless, fever still persists and remains unexplained in some patients.3 The yield of bone marrow examination in these patients remains unknown. Bone marrow biopsy (BMB) has been shown to be a safe and useful diagnostic procedure for FUO in patients with human immunodeficiency virus (HIV) infection.4,5 However, its usefulness in the diagnosis of FUO in immunocompetent patients has not been sufficiently assessed. Its diagnostic yield and indications remain controversial.6 Bone marrow biopsy could be a rapid test for clinical decision making in suspected cases of mycobacterial infection or hematological malignant diseases. Indeed, involvement of the marrow may be the first indication of the existence of lymphoma, an emerging cause of FUO. We describe herein the yield of bone marrow examination in a subgroup of 130 patients among 280 nonimmunocompromised patients presenting to a single tertiary care center with a prolonged, unexplained febrile illness. This study compares patient groups according to the yield of BMB in the diagnosis of FUO. From January 1995 through December 2005, we collected the clinical records and the pathological charts of 280 consecutive patients who showed FUO and were referred to 2 internal medicine units located in a tertiary care center in France. Then, we selected the patients who had undergone a BMB as part of the diagnostic procedure. To be included in the final database, patients had to meet 3 criteria: first, they had to meet the first 2 criteria of the FUO definition of Petersdorf7: (1) duration of illness of more than 3 weeks before diagnosis and (2) repeatedly documented body temperature exceeding 38.3°C. A standardized minimal diagnostic workup was required to retain the diagnosis of FUO. This minimal workup included history reviews, clinical examinations, routine laboratory tests, urinalysis, urine cultures, chest radiography, and abdominal ultrasonography. The routine laboratory tests included complete blood cell count including differential leukocyte and platelet count; routine blood chemistry analysis including lactate dehydrogenase; measurement of bilirubin and liver enzyme levels; assessment of erythrocyte sedimentation rate; antinuclear antibody detection; measurement of rheumatoid factor and angiotensin-converting enzyme levels; routine blood cultures (×3) while not receiving antibiotics; cytomegalovirus IgM antibody and heterophile antibody tests; tuberculin skin test, and HIV serologic analysis. Finally, the urine analysis included microscopic analysis and culture. 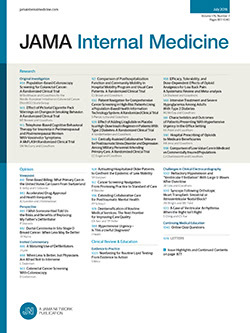 Recurrent or episodic fever was defined as cyclical fever with apparent remission of the disease and fever-free intervals of at least 2 weeks.8 Patients with nosocomial fever, known HIV infection, or history of hematological malignant diseases or who were immunocompromised were excluded. Immunodeficiency encompassed the following conditions: neutropenia (white blood cell count <1000/μL and/or granulocyte count <500/μL [to convert to ×109/L, multiply by 0.001]), hypogammaglobulinemia (IgG <50%), and solid organ transplant recipients. Bone marrow biopsies were performed by puncture of the posterior iliac crest using a Jamshidi needle. Sections were sent in formalin solution for histologic processing. Sections of core biopsy and particle and preparation samples were stained with hematoxylin-eosin. Immunochemical assay was only performed if a malignant lymphoma was suspected. All archived slides were reviewed in a blinded manner by a single histologist (M.F.). Bone marrow aspirate was routinely stained with Giemsa. Bone marrow aspirates were directly inoculated in mycobacterial culture medium (BACTEC; Becton, Dickinson and Company, Franklin Lakes, New Jersey) for each patient at the bedside. To confirm the diagnosis of the febrile illness, all patients were seen at 6 months and 1 year after the hospital discharge. Many of them were followed up at the same center, and clinical and biological data were gathered for each patient visit. The primary end point was BMB contribution with 2 categories: useful or not useful. The χ2 test and Fisher exact test were used to compare differences between both groups based on baseline clinical variables. In addition, continuous variables were presented as medians and interquartile ranges and were compared using 1-way analysis of variance (ANOVA) or the Kruskal-Wallis test and pairwise analyses with the Mann-Whitney test and ANOVA when appropriate. A logistic regression model was used to predict the probability of performing a useful BMB. We calculated odds ratios (ORs) and 95% confidence intervals (CIs) for independent variables in the model. The area under the receiver operating characteristic curve assessed the predictive accuracy of the model. Statistical analyses were performed using SPSS software version 12 (SPSS Inc, Chicago, Illinois). All statistical testing was performed using 2-tailed tests; P < .05 was considered statistically significant. Over the last decade, 280 patients were hospitalized in our tertiary care center for the exploration of FUO. Table 1 summarizes the demographic characteristics and diagnostic category for the 280 patients. Among the 280 patients, we identified 130 who had undergone a BMB during the workup of FUO. Then, we retrospectively reviewed the clinical and biological data of these 130 patients (77 men and 53 women), with age ranging from 20 to 88 years (mean age, 58.3 years). Forty-eight patients (37.6%) presented with a recurrent fever. Then, we reviewed 151 BMB results: some patients had undergone more than 1 biopsy (17 patients [13.1%] underwent more than 1 biopsy, 4 of whom underwent 3 biopsies). The mean duration of fever before the admission was 43 days (range, 21-350 days). Sixty-two patients (47.7%) were referred after extensive investigations in another hospital, and 68 (52.3%) were referred by their primary care physicians. The BMB was performed early (first days of the hospitalization, but with a fever duration of 57 days) in some cases because the patients were referred by another center and the physicians in charge of the patient suspected a malignant lymphoma. Table 2 lists the final diagnosis and the diagnostic categories in all 130 patients. The diagnoses were subdivided according to the 5 classic categories. Overall, neoplasia (28.4%) and noninfectious inflammatory diseases (24.6%) constituted the most prevalent diagnostic categories. A total of 151 bone marrow biopsies were performed. However, we limited our analysis to the first biopsy (130 biopsies). The BMB was done early during the hospitalization for the workup of FUO in 55% of patients (before the 10th day of hospitalization). There were 2 BMB-associated complications (1.5%), both involving hematomas, with one occurring in a patient with a definite diagnosis of Behçet disease and the other in a patient with a diagnosis of acute leukemia. Both resolved with conservative therapy: blood transfusion and fluid therapy were necessary for 1 patient. The examination of Giemsa-stained bone marrow smears resulted in a diagnosis in 19 patients (14.6%), especially in cases of hemophagocytic syndrome, which remains only a clue but not a definite diagnosis. Indeed, in 6 cases, hemophagocytosis was observed including 2 cases of infectious diseases (Propionibacterium acnes bacteriemia and Epstein-Barr virus primary infection), 2 observations of adult-onset Still disease, and 2 cases of hematological malignant disease (non-Hodgkin lymphoma). Finally, bone marrow aspirate resulted in specific diagnosis in 5 cases (4 cases of acute leukemia and 1 case of visceral leishmaniasis). Bone marrow cultures were performed for detecting mycobacterium infection and especially tuberculosis in all cases. However, no culture proved positive, even in the cases of suspected tuberculosis. We did not identify other pathogens in bone marrow cultures. One-hundred and twenty-five patients (96.2%) presented with abnormal bone marrow findings. Indeed, findings from the bone marrow examinations showed changes that included various degrees of hypercellularity and reticuloendothelial iron storage. These histological findings were interpreted as an inflammatory modification of the marrow. Other histological features were described, such as interstitial plasmocytosis in more than 5% of the marrow in 23 cases; eosinophilia in more than 10% in 16 cases; and lymphoid nodules in 14 cases. Among these histological features, no finding represented clues for the diagnosis of the persistence of the fever. We could neither confirm a diagnosis of multiple myeloma when we observed plasmocytosis in bone marrow nor prove malignant lymphoma when we noted a lymphoid nodule. Among the 130 patients, 31 had a BMB result that enabled a diagnosis (diagnostic yield, 23.7%) (Table 3). In addition, in 23 observations, the pathological examination of the bone marrow was the sole exploration leading to the diagnosis of a specific condition. In patients with episodic fever, the BMB result was useful in 4 patients (8.3%). This result was significantly lower than in patients with classic FUO (8.3% vs 32.9%; P = .002). Table 3 gives the diagnoses established on bone marrow biopsy findings. The histological findings in the bone marrow were contradictory with the final diagnosis in only 2 patients (1.5%). In a patient with adult-onset Still disease, the BMB result showed an aspect of T lymphoma, whereas a patient with periodic fever was thought to have a non-Hodgkin lymphoma. However, the gene rearrangement and the immunohistochemistry study findings did not show evidence of malignant hematological diseases. Seventeen patients underwent 2 or more bone marrow biopsies. The diagnosis was obtained during the second bone marrow examination in 2 cases, and the results were acute myeloid leukemia in both. Finally, 4 types of diseases were diagnosed via BMB: hematological malignant diseases in 25 cases (80.6%), infectious diseases in 3 cases (tuberculosis in 2 cases and visceral leishmaniasis in 1) (9.6%), systemic mastocytosis in 2 cases (6.5%), and idiopathic disseminated granulomatosis in 1 case (after 4 years of follow-up, no alternative diagnosis had been established in this last patient) (3.3%). Even if this is not recommended, corticosteroids can be used as an empirical therapeutic test in prolonged febrile illness, especially in those who showed clinical features of temporal arteritis. We wanted to know whether corticosteroid use could hide a disease such as lymphoma or acute leukemia. We compared 2 groups, one with corticosteroid use and the other without, before the BMB was performed. Fourteen patients were receiving corticosteroids while the BMB was performed (a second biopsy in 11 cases). No significant difference was noted compared with the group of patients without corticosteroid use (P = .58). During the follow-up (1-5 years), only 1 patient was diagnosed as having acute myeloid leukemia. Table 4 and Table 5 list the clinical and biological characteristics studied as predictive factors of the yield of BMB in the workup of FUO. In an univariate analysis, the groups with and without BMB contribution did not differ significantly regarding the duration of the fever. There were fewer patients with positive BMB results in the group with recurrent fever than in the group with continuous fever. The 2 groups did not differ for baseline erythrocyte sedimentation rate and C-reactive protein levels, although the baseline hemoglobin and platelet levels were lower in the group with positive BMB results. Lactate dehydrogenase and β2 microglobulin were higher in the group with the useful BMB results. Only the periodicity of the fever emerged as statistically significant. Five parameters (ie, splenomegaly, anemia, thrombocytopenia, lactate dehydrogenase, continuous fever) were entered in a logistic regression analysis to select variables that might predict whether BMB results were useful to the diagnosis of FUO. Table 6 displays a multivariate logistic regression analysis, which identified several risk factors that predict the probability of having a positive BMB result. The area under the receiver operating characteristic curve was 80%. Lower hemoglobin levels and lower platelet count were associated with a higher likelihood of a BMB enabling a diagnosis. A new finding of our study was the analyses of the responsiveness to steroids. We found no data about that aspect. The long-term follow-up of our patients confirmed the lack of influence of corticosteroids on the results of bone marrow examination. For instance, the bone marrow examination confirmed the diagnosis even when taking corticosteroids. We believe that other studies should confirm this point; we also think that taking corticosteroids should not lead to avoidance of performing bone marrow examination. Our case series confirm the literature data about the very limited value of bone marrow cultures in the workup of FUO in immunocompetent patients. Indeed, we found no positive bone marrow culture. The diagnostic yield of bone marrow cultures in immunocompetent patients is very low.20 We can conclude that microbiological study should not be recommended in the diagnostic workup in nonimmunocompromised patients. Finally, even though bone marrow aspiration seems to be more easily and more quickly analyzed; BMB remains the only test capable of confirming the diagnosis of diseases such as malignant lymphoma. We should be aware of false-negative bone marrow findings in case of leukemia and particularly acute leukemia presenting as FUO. A study limitation remains the high number of cases with a final diagnosis in the group patients with bone marrow examination. Indeed, the cause of FUO was diagnosed in 106 patients (81.4%). The proportion of undiagnosed cases (18.6%) seems low, and it remains lower than the proportion observed in more recent studies.21,22 However, among the 280 patients of our cohort, the cause of the fever remains obscure in 32.8%, which is similar in the last cases series.21 One explanation could be the long-term follow-up of our patients, since some diagnoses were done very late (2 or 3 years after the onset of the disease). The second explanation is linked to the fact that some physicians admitted diagnoses lacking confirmatory tests such as adult-onset Still disease or polymyalgia rheumatica. Moreover, long-term follow-up allowed exclusion of other diseases. Our results seem similar to those described in the older cases series, and especially, the first cohort of Petersdorf and Beeson1 published in 1961, with 25% of the patients not having an objective diagnosis.13 Except for the higher prevalence of neoplasia, the distribution of causes of FUO in our study remains similar to those described in previous reports.23 We voluntary selected nonimmunocompromised patients to avoid a selection bias. Indeed, in patients with acquired immunodeficiency syndrome, BMB is known to be a useful procedure to diagnose the cause of FUO.24 Benito et al5 reported that culture and histopathological examination enabled a diagnosis in 37.9% of cases among HIV-infected patients with FUO. Correspondence: Arnaud Hot, MD, MSc, Service de Médecine Interne, Hôpital Edouard Herriot, 5 Place d’Arsonval, 69437 Lyon CEDEX 03, France (arnaud.hot@wanadoo.fr). Study concept and design: Hot, Jaisson, Girard, Durand, Rousset, and Ninet. Acquisition of data: Hot, Jaisson, Girard, French, and Durand. Analysis and interpretation of data: Hot, French, Jaisson, and Durand. Drafting of the manuscript: Hot. Critical revision of the manuscript for important intellectual content: Hot, Jaisson, Girard, French, Durand, Rousset, and Ninet. Statistical analysis: Hot and Jaisson. Obtained funding: Hot. Administrative, technical, and material support: Hot. Study supervision: Hot, Durand, Rousset, and Ninet.